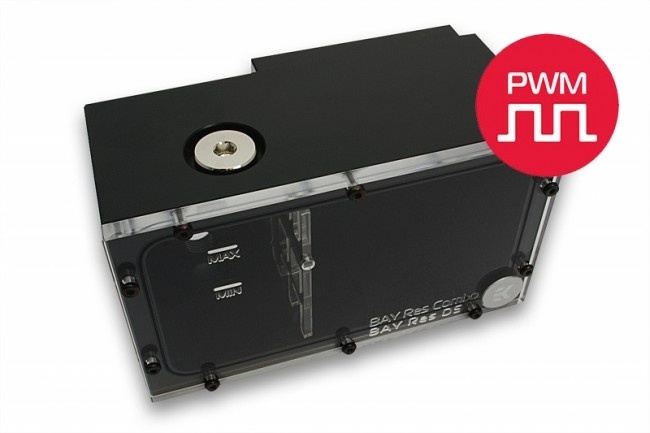 EK Water Blocks EK-DBAY D5 PWM (incl. 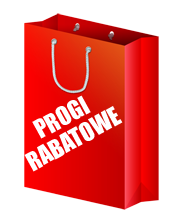 pump) :: ..:: Angela.pl ::..
EK-DBAY D5 PWM (incl. pump) is high-performance hydraulically improved pump top (volute) for D5 PWM series water pump with integrated reservoir in a two-slot 5.25" drive bay form factor. This type of design makes the use of now almost abandoned 5.25" drive bay slots in order to provide more room for other components when facing limited space constraints. Made from a high quality POM Acetal this sturdy, monoblock design guarantees maximum reliability and rigidity! Two G1/4 threaded ports which allow for installation of virtually any G1/4 threaded fitting / barb. EK recommends EK-CSQ series compression fittings. This unit also features one G3/8 threaded port on the top of the reservoir which serves as a fill port for the system. Integrated anti-cyclone made from acrylic glass effectively prevents excessive vortex formation when using in low hydraulic restriction loops. EK-DBAY D5 PWM (incl. pump) is designed around anti-vibration rubber mounting system. This floating design effectively silents this pump / reservoir setup by de-coupling it from the rest of the computer chassis. Front cover is made of quality acrylic glass. Mounting mechanism and easy to follow installation guide are included. Made in Slovenia - EU!